In the last post as a continued story from visiting the Chuch of All Nation. This is our next place, The Pool of Bethesda. We’re not literally walking all the way here, we hop on into the bus for a short ride about 2 to 3 minutes, where we hop off again at some sort of back road which leads to an alley. I guess it’s another shortcut to get to the Pool of Bethesda. Mr. Dani brought us through this alley because it’s closer from our stop and so that Mr. Abraham doesn’t have to go around just to drop us. But this road that we took is not a tourist friendly, though. We passed some dirty garbage places, it’s really smelly. Up to 5 minutes walk, then we arrived at an intersection where I saw sort of a gate with a security check. Of course, with military officers and their guns. 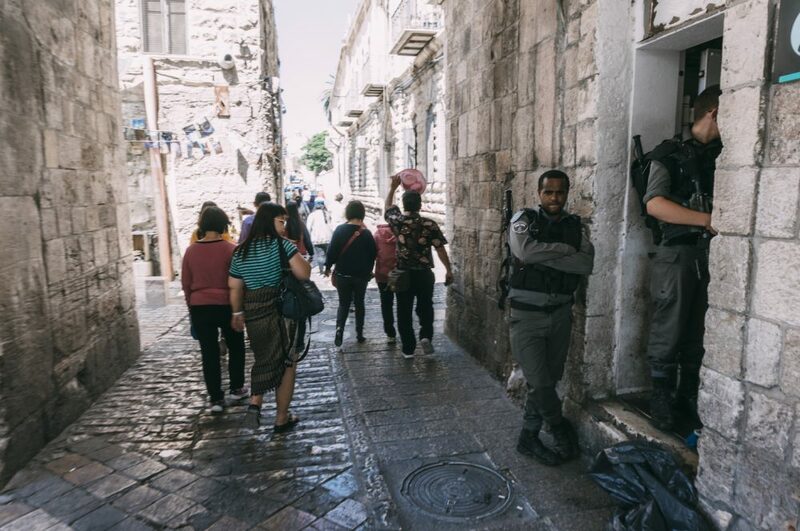 The location of the Pools of Bethesda — actually a series of reservoirs and medicinal pools — is in the Muslim Quarter of Jerusalem’s Old City, north of the Temple Mount and about 50 meters inside St Stephen’s or Lions’ Gate. At that time, the gate was called the Sheep Gate, because this was where sheep were brought to the Temple for sacrifice. The name of the pool is said to be derived from the Hebrew language and/or Aramaic language. Beth hesda (בית חסד/חסדא), meaning either house of mercy or house of grace. In both Hebrew and Aramaic, the word could also mean “shame, disgrace”. This dual meaning may have been thought appropriate since the location was seen as a place of disgrace due to the presence of invalids, and as a place of grace due to the granting of healing. This Bethesda pool, however, brings a lot of controversy between the Christians and archeologists. In the gospel of John, He described that the pool having five porticoes, which many invalids in it, the lame, the blind, and the paralyzed. But no such evidence found for quite a long time so this history from the gospel of John put into question. Some argue that the “pool” was only a metaphor of what John mean rather than historical significance. A metaphor of the five book of Moses (five porticoes). Until the 1900s, where Conrad Schick discovered a large tank situated about 100 feet (30 m) northwest of St. Anne’s Church, which he contended was the Pool of Bethesda. Further archaeological excavation in the area, in 1964, discovered the remains of the Byzantine and Crusader churches, Hadrian’s Temple of Asclepius and Serapis, the small healing pools of the Asclepieion, the other of the two large pools, and the dam between them. It was discovered that the Byzantine construction was built in the very heart of Hadrian’s construction and contained the healing pools. Now to understand a bit of this place, you need to read this short history summary of what happen with this place. I quoted this from Wikipedia; skip this if you’re not into history. The history of the pool began in the 8th century BC, when a dam was built across the short Beth Zeta valley, turning it into a reservoir for rainwater; a sluice-gate in the dam allowed the height to be controlled, and a rock-cut channel brought a steady stream of water from the reservoir into the city. The reservoir became known as the Upper Pool (בריכה העליונה). Around 200 BC, during the period in which Simon II was the Jewish High Priest, the channel was enclosed, and a second pool was added on the south side of the dam; although popular legend argues that this pool was used for washing sheep, this is very unlikely due to the pool’s use as a water supply, and its extreme depth (13m). In the 1st century BC, natural caves to the east of the two pools were turned into small baths, as part of an asclepieion; however, the Mishnah implies that at least one of these new pools was sacred to Fortuna, the goddess of fortune, rather than Asclepius, the god of healing. Scholars think it likely that this development was founded by the Roman garrison of the nearby Antonia Fortress, who would also have been able to protect it from attack the location of the asclepieion, outside the then city walls, would have made its presence tolerable to the Jews, who might otherwise have objected to a non-Jewish religious presence in their holy city. In the mid 1st century AD, Herod Agrippa expanded the city walls, bringing the asclepieion into the city. When Hadrian rebuilt Jerusalem as Aelia Capitolina, he placed a roadway along the dam and expanded the asclepieion into a large temple to Asclepius and Serapis. In the Byzantine era, the asclepieion was converted to a church. After the Crusader conquest of Jerusalem, the church buildings were rebuilt on a smaller scale with a new church erected nearby. This new church, named for Saint Anne and completed in 1138 AD., was built over the site of a grotto believed by the Crusaders to be the birthplace of Anne, grandmother of Jesus. 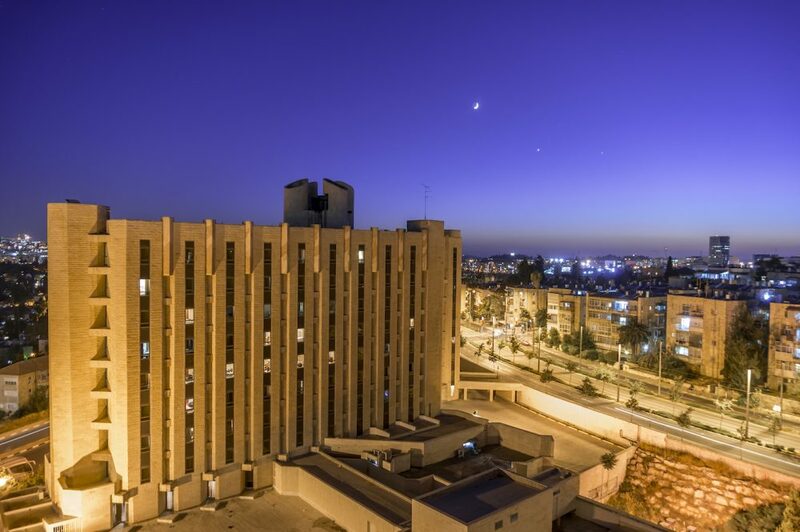 After the conquest of Jerusalem by Saladin it was transformed into a Shafi`i fiqh (Islamic law school). Gradually the buildings fell into ruin, becoming a midden (waste dump). In the early 19th century, the Ottoman Empire, as an act of gratitude, offered Queen Victoria the choice of possessing the Bethesda site or Cyprus; the Anglican church lobbied for the Bethesda site, but Victoria chose Cyprus, so in 1856, the Ottomans gave the site to France instead. The French constructed the Church of Saint Anne, at the southeast corner of the site, leaving the ancient ruins untouched. After a session of explanation from Mr. Dani and our pastor, then we’re off to explore on our own within this ruins area. Not much to see but ruins, and even the pool doesn’t look like a pool anymore. But I can tell you that it is surely not much of a space to move around, imagine when the building was still there. 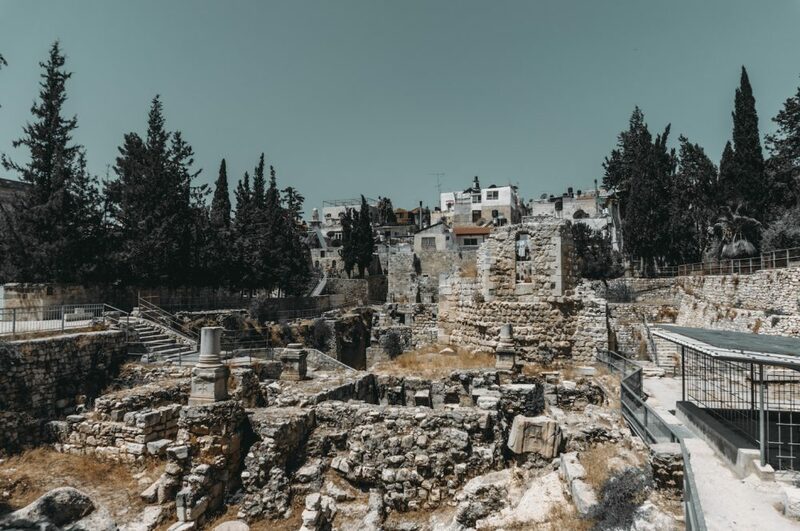 Not far before you see the ruins, you must see a church at your right side, Church of St. Anne, the best-preserved crusader church in Jerusalem. 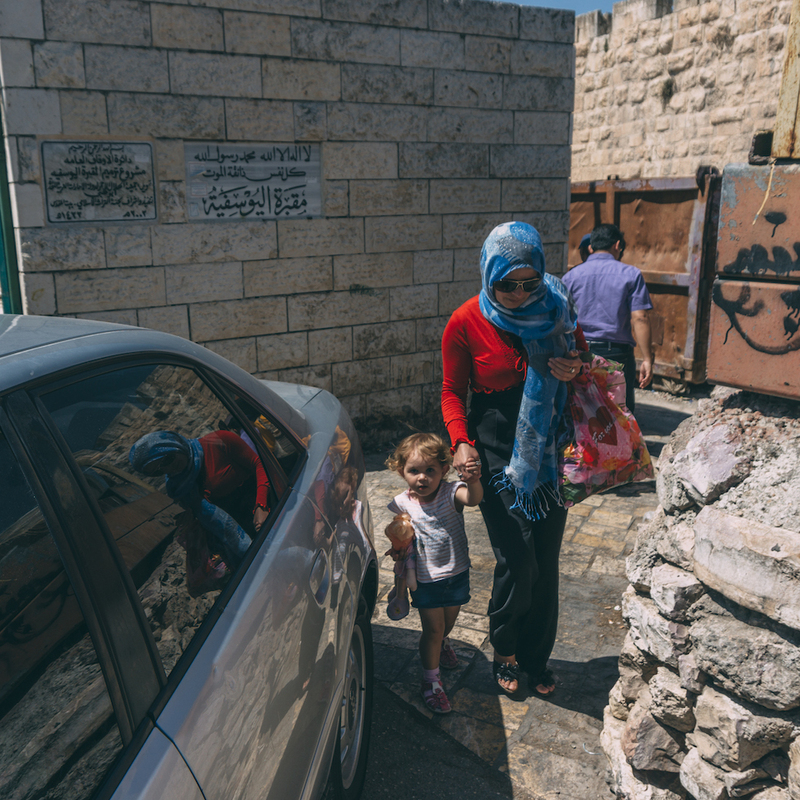 You can tell by the contrast with the surrounding of the Muslim quarter area, it’s like a different place once you enter the gate. Trees and flowers and a fountain beautifully designed and maintained as a welcome sight. 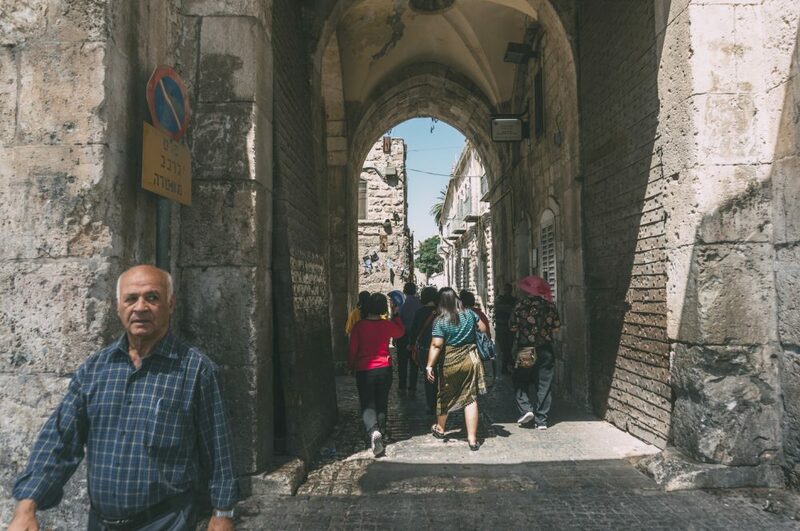 Although there is none from the new testament, it marks the traditional site of the home of Jesus’ maternal grandparents, Anne and Joachim, and the birthplace of the Virgin Mary, built on 450. The church looks like a fortress from the design. It is well known for its remarkable acoustics and reverberating echoes. I had a footage recording our tour leader singing “To God be The Glory” and yes the acoustics and echoes are amazing. There’s a lot of Christians coming here actually singing in groups or even performs a worship song. It’s like they all getting in line to perform something. I didn’t take any picture here because I’m recording the video, plus the priest really quite active to keep telling visitors to be silent and focus on pray and do not bother those who seriously praying inside the church. So yeah, no picture from me. Check out the links below if you want to see what it looks like. After St. Anne Church we had lunch, but I forgot where and what is the restaurant, but it’s not that far from we were. 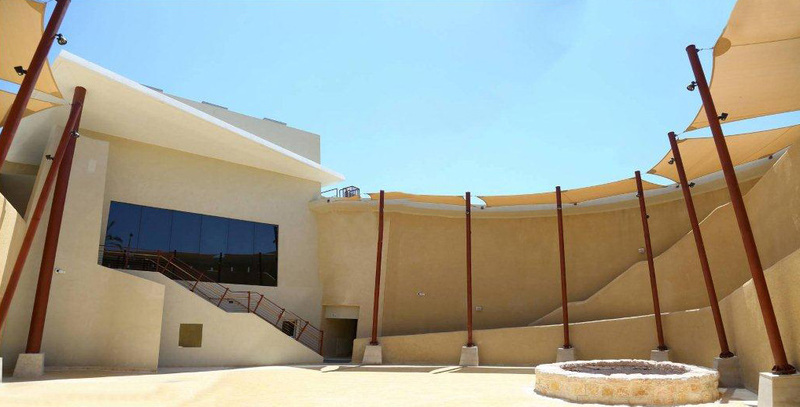 Which after lunch, we went to some place called Beersheba to visit the Abraham’s Well visitor center. Two military officers, a man and a woman (still look young, around their 20’s) stop the bus. They actually get inside the bus and checking every one of us. That’s not fun, quite scary, though. That long M4 Carbin they hold looks intimidating. Thank God everything was ok and we continue. I fell asleep because it’s quite a long way. I wake up when we arrived. The building looks modern and new. Recently built I guess around 2011 if I’m not mistaken. It’s a nice decent place, modern and well maintain. You can visit their site to know what to see in this place. Basically, a guide will tell you a story about Abraham and how the well inside this building called the Abraham’s well. As per usual, it’s only the best possible place, according to them, that this is the real Abraham’s well. After an intro, you will enter a dark room which they have this 3d movie about Abraham. Well, a nice entertainment actually. I don’t know if it’s worth the almost 2-hour ride. 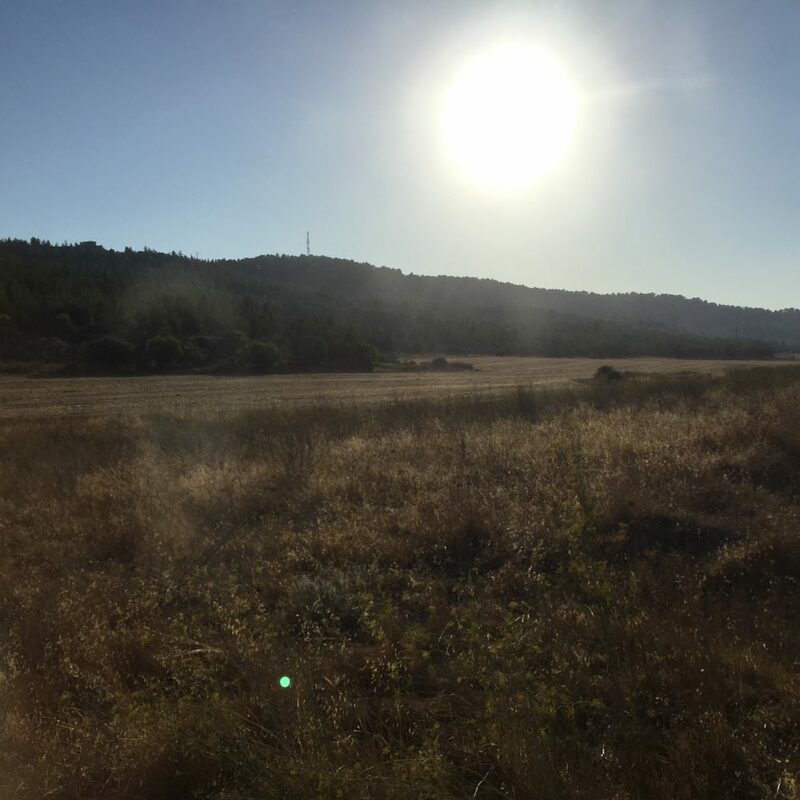 On our way back to Jerusalem, we try to make time to find where is the Adullam Cave. The place where King David used to hide from King Saul who tried to kill him. But I’m sorry there’s not much I have to share because we’re kinda lost trying to find where is the closest way to get there. Mr. Abraham kept missing the entrance road. Looks like he’s not used to driving tourists to this place. 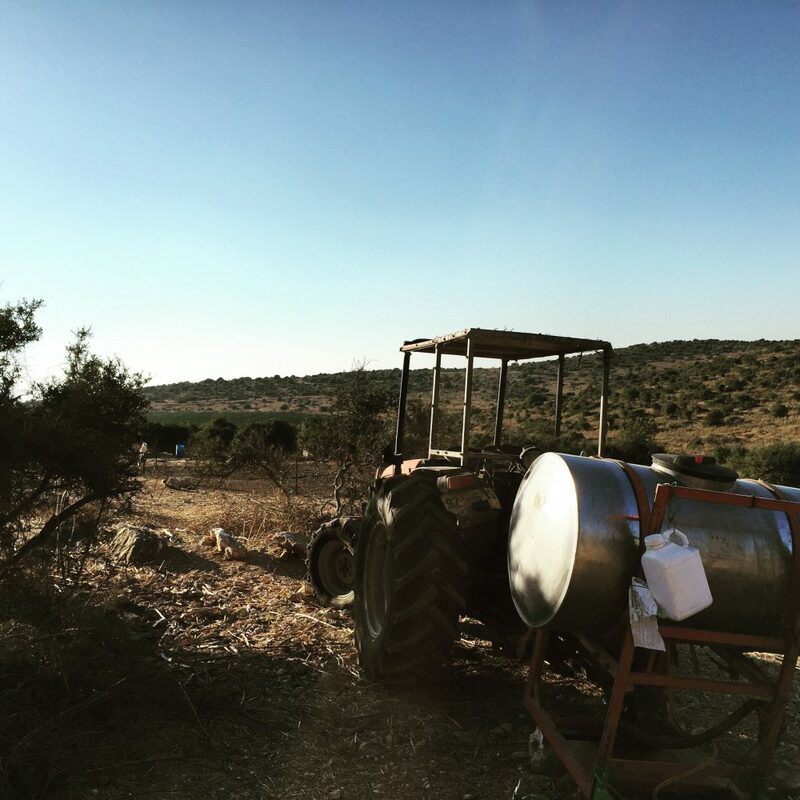 A tractor from the Elah Valley. I must say, the road to find this place was not easy, I mean, we’re going by bus. I can see already the doubt in Mr. Abraham’s face. Like, he’s really not into driving the bus to this place. But Mr. Dani kept pushing him to take us to this place. The road is small, barely fit a bus. Also, there’s a bus going back when we’re trying to go, so with 2 buses going opposite way, guess what happened. Finally, after the struggle, we managed to reach the point where we have to walk because bus no longer can enter the road. But then because it’s already late afternoon, and the walk to find the cave is still a long way. So the group decided to just have a short session at a shelter we found in the middle of the road just next to the tractor from the picture above. As a result, not so much for a story, right? I actually wanted to explore more and find the cave. I was very curious. But what can I say, huh? For reference, check out this site. They provide more detail for Adullam Cave. After all the worry Mr. Abraham had all the way to exit to the main road, he literally bowed and kneeled to the ground expressing his thankfulness to God. Lol! What an entertainment. Such a funny old man. That will be the end of this post. I enjoy the one-day itinerary from Mt. Olives where we started the day, to this Valley of Elah. Although not everything perfectly explored the way I want to, but it’s still an awesome experience. That night, the view from my hotel was quite amazing. A nice way to end the day. 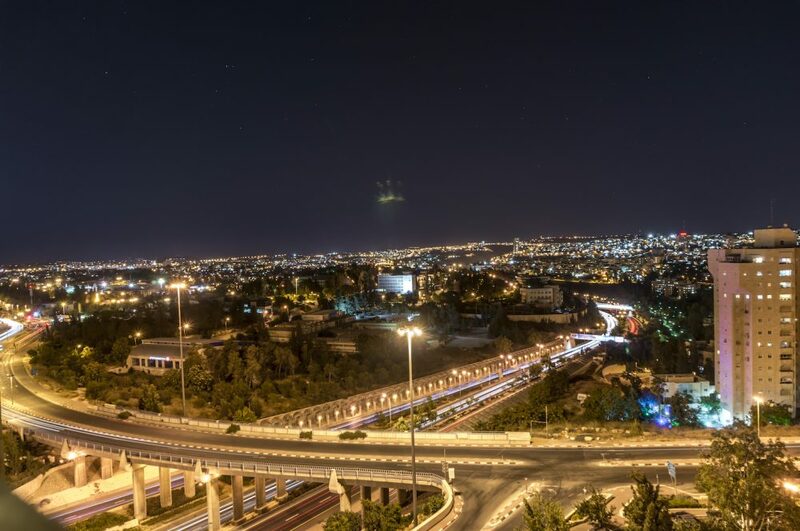 If you’re looking for a nice hotel to stay in Jerusalem, check out the best price for Ramada Hotel. Thank you for reading. Don’t forget to subscribe. Finally, until next post then, bye!